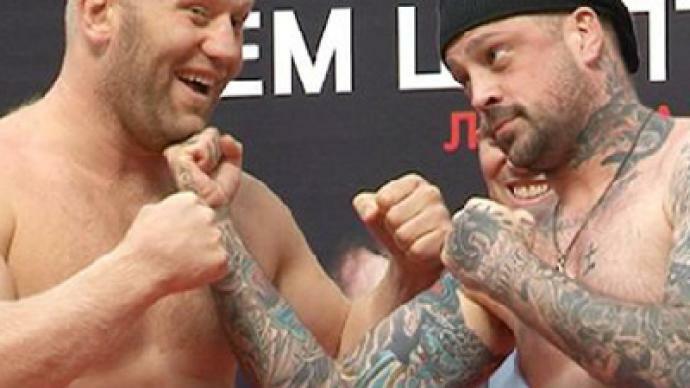 Russian mixed martial arts specialist, Sergey Kharitonov, believes speed will not be enough to give his US opponent, Mark “The Fight Shark” Miller, the vital advantage in their K-1 bout in Moscow on Friday. ­One of the most feared heavyweights in mixed martial arts, Sergey Kharitonov was spotted in an ice box at a meat-processing plant in Moscow. And it was not just a flashback to a famous boxing movie, but a real training session. The Russian is following in the footsteps of the legendary character ahead of his next bout. On Friday night, at the Golden Glory fight-night in the Russian capital, the 31-year-old will face American Mark Miller. The bout is to be along K-1 rules, meaning only stand-up fighting techniques are allowed. Mark “The Fight Shark” Miller takes to the Russian capital along with top names in the business, who will be on the fight card too. 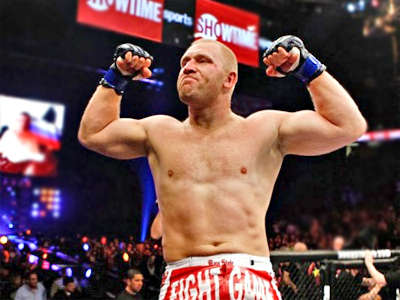 Current K-1 super-heavyweight title-holder Semmy Schilt will take on Brice Guidon and Jerome le Banner will be squaring up to Errol Zimmerman. However, Miller is a man who has been in much greater battles than any in the ring. The 36-year-old underwent open-heart surgery in 2007. But in 2011, at the first Golden Glory event in the Russian capital, he made history, incredibly getting back to the ring and knocking out his opponent nine seconds into the bout. The upcoming bout will only be Miller's second after his amazing comeback, although he has already proved his outstanding abilities – both physical and mental. “This isn't meant to sound like ego, but if I hit you, I don't care how big you are,” he said. The Fight Shark's game plan for the fight is simple. “Speed, speed and more speed. I'll do my Mohammed Ali impression tomorrow night,” Miller promised.